Now for the home run with my radiotherapy treatment. When I started the radiotherapy treatment, I really thought the 30 sessions were going to be one massive schlepp. 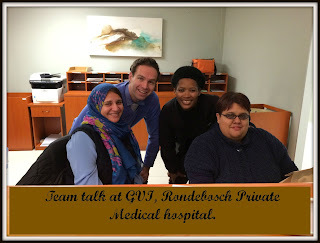 Just the idea that I had to trek to the GVI Oncology unit at Rondebosch on a daily basis for more than a month and a half was a mental irritation. But time has really flown. I will just be attending for one more week and then this part of my journey will be done! I will be receiving a "booster" during the last week. During the booster session, the radiation targets only the area where the breast cancer tumour was. Besides being permanently coated with corn flour, I am sporting new ink markings to demarcate the zone. The area has become darker, but there are no other visible signs of the trauma this area was subjected to. I have also experienced being more tired, more listless and sporadic burning sensations in the breast area. But, so far, so good, as they say. How I am coping with the radiotherapy treatment. Folk are curious about how my system is coping with the radiotherapy treatment that I am currently receiving. I prefer to talk about the impact of the radiotherapy on my entire being because your entire person is affected. And this is the beauty of this journey for me, despite the gravity of the situation. I am in a good space spiritually, emotionally and physically. I have to give thanks to my Lord who has never forsaken me during all this time. In fact, I have never felt closer to my Maker who has surrounded me with hosts of angels in the form of my family, friends, strangers, the medical staff and my church family. 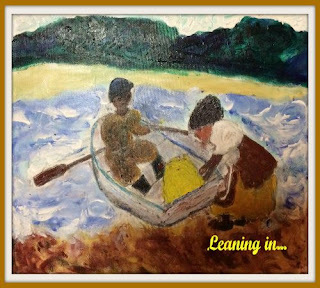 Since people have heard that I have been diagnosed with breast cancer, I have been flooded with inspirational messages, prayers, love, friendship, advice and uplifting stories. I have reached the halfway mark of my radiotherapy treatment. Yes! 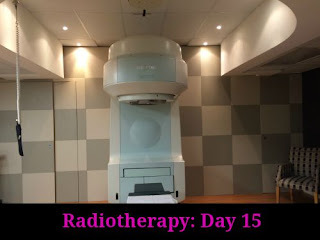 I reached the halfway mark of my radiotherapy treatment. Today was session 15. There are 15 sessions left. I will tell you in the next post about how my system is managing the radiation treatment, but I want to share these tidbits with you. When you visit the GVI Oncology department on a daily basis like I do, you are bound to become more aware of your surroundings. I am getting used to the rather sharp bends of the underground parking at the hospital. All GVI patients can park for free on level 5. Initially I was apprehensive about snaking round the bends up to the fifth floor. I would drive slowly, apply brakes at every corner, look into the mounted mirrors, double check that the nose of the car and the lights really belong to my car and then creep round the bend. You can seriously get drunk just trekking up the levels. 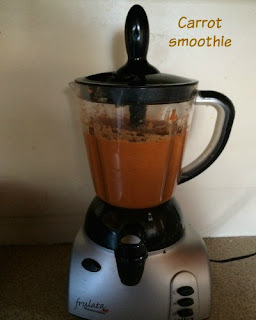 Vegetable juicing helps me consume more vegetables. I am making changes to my diet. I am increasing my intake of vegetables and fruit while I am reducing the quantity of heavy starches, wheat and fatty food. Don't get me wrong: I still love my fatty foods like steak and chips drowned in sauce, burgers and a super-sized serving of slap chips. I am trying to eat less of these foods and more of the healthy options. I am more interested in the raw food diets than I ever was, although I must confess I am not ready for such an extreme switch. I like the idea of reaching a balance of 80% healthy foods and allowing myself a 20% margin to eat junk foods. That is the long view so I want no raised eyebrows when you see me tucking into a massive steak encircled by those freshly-fried, "eat-me-now" hot chips!